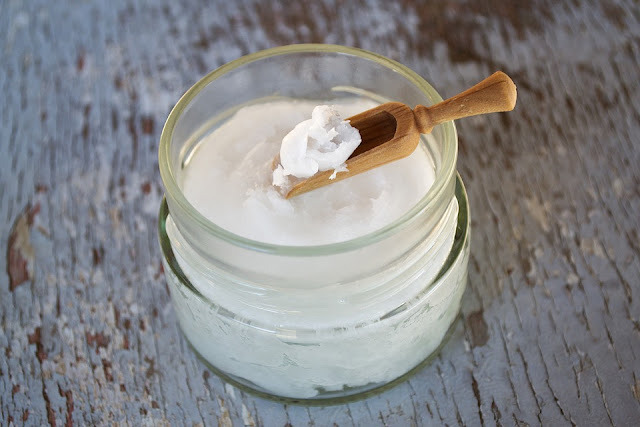 Guest Post | How to Use Coconut Oil for Hair and Skin Care! One small, but significant thing I’ve been thinking about recently is natural beauty products. It makes such a difference to be using simple, fresh products on your body. I know my hair and skin really thank me when I pamper them with high-quality products! 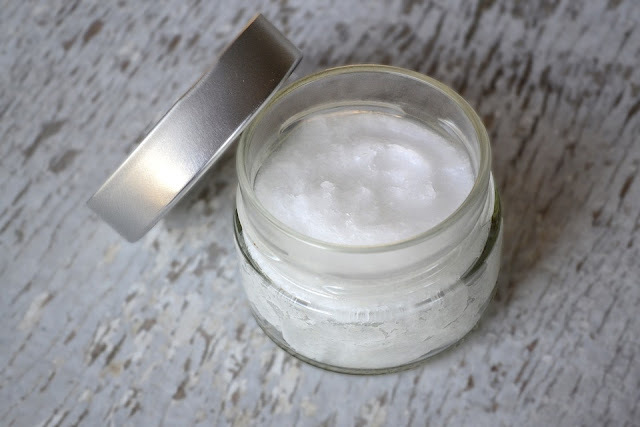 A favourite recent find on the beauty front is all natural coconut oil. You might be thinking this is something people use for cooking, not moisturising. And while it can be pretty great for making dinner, many people are unaware of its beauty benefits – if you’re wondering how to make your hair soft, a simple coconut oil mask might help a great deal, and this works well on your skin too! Coconut oil’s soft and buttery texture is exactly what you need on damaged and dehydrated hair and skin. And it’s so easy to add this natural ingredient to your beauty routine! 1. In order to deep condition your hair, repair split ends, moisturise your scalp and add a healthy glow to your locks use coconut oil as a leave-in treatment every once in a while. Massage the oil into your hair in circular motions and then work through with a comb. Then wrap your hair up in a shower cap or towel and leave it for at least 30 minutes. Finish by shampooing to remove the oil and style as usual afterwards. 2. Use coconut oil to get rid of those annoying tangles in your hair. Before styling or brushing your hair, gently massage the oil into the ends of your hair then work your way towards the roots with a comb, gently detangling your locks. No need to rinse nor shampoo! 3. Fight dandruff and a dry scalp with coconut oil by leaving it overnight. Before going to bed, use your fingers to massage the oil into your scalp and then wrap your hair in a towel and sleep through the treatment. The following day, just wash your hair as usual! 1. Make a coconut oil face mask 2-3 times a week. Apply a small amount all over your face before going to bed and wake up with smooth, baby-like skin. If you have an oily skin type, do it less regularly or avoid applying too much to the oil-prone areas of your face. Trust this natural overnight moisturiser! 2. Remove your makeup with coconut oil using a cotton pad – it works specially well with waterproof makeup. It is ok to rub some of the oil on your eyelids to remove any stubborn eye shadow or liner, but be careful not to let it reach your eyes. 3. Coconut oil can also help your skin by being a great make up brush cleaner! Use it to keep your favourite cosmetic tools as clean and fresh as possible – if they are free from any germs and bacteria you’re already half way to a beautiful and clean skin. With things like coconut oil you know exactly what you’re getting and feel really good about the end results! 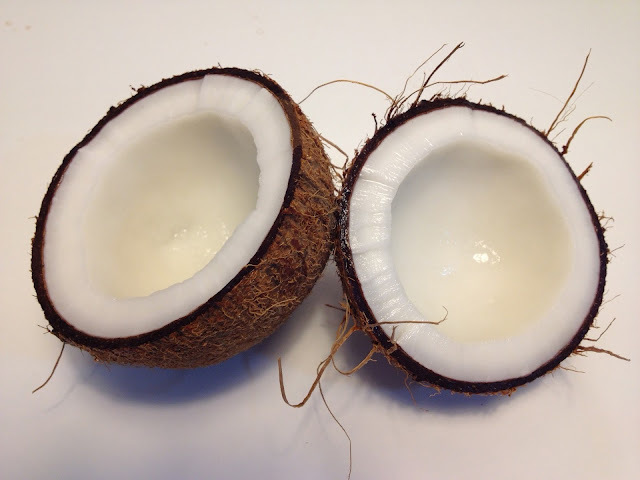 So if you’re looking for a natural way to pamper your hair and body with one ingredient – choose coconut! Still, you can find many other great tips on how to moisturise your skin and how to make your hair soft if you do a quick online search!